Investors will have dozens of corporate earnings reports to sort through Monday as they await news on interest rates and the labor market later in the week. U.S. stock futures were lower ahead of the opening bell, with the S&P 500 index declining by roughly 0.2%. On Wednesday investors get a report on the nation's economic growth in the second quarter and the Federal Reserve concludes its two-day meeting. On Friday the Labor Department will release its July jobs report. All those events have the potential to move the market sharply in one direction or the other, leaving investors a bit wary of making big bets in this part of the week. There were two major mergers for investors to weigh Monday. Omnicom Group (OMC) and Publicis Groupe (PGPEF) announced a deal to form the world's largest advertising agency. Shares of both companies were higher in premarket trading. And U.S. over-the-counter drugmaker Perrigo (PRGO) announced an $8.6 billion deal for Irish drugmaker Elan (ELN), a cash and stock deal that pays about a 26% premium for Elan shareholders. Simon Properties (SPG) and Wynn Resorts (WYNN) both reported improved quarterly earnings, although Wynn fell short of forecasts while Simon beat estimates. Hartford Financial (HGH) and Express Scripts (ESRX) are on tap to report after the close. Also after the bell, Herbalife (HLF), the multi-level marketing company that hedge fund manager Bill Ackman has attacked as a pyramid scheme, will release its second-quarter earnings. On Friday, U.S. stocks inched higher in the final minutes of trading after being down sharply earlier in the day. 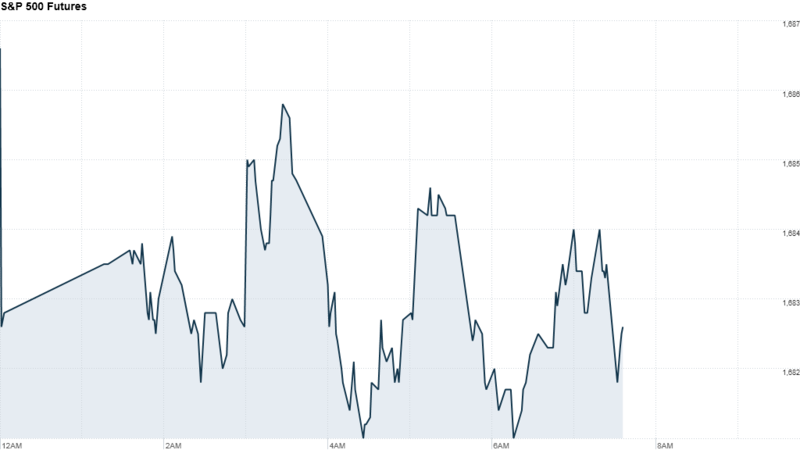 The Dow Jones industrial average ended the week with a small gain. The S&P 500 was basically unchanged for the week. The tech-heavy Nasdaq index added nearly 1% after some of its larger constituents reported better-than-expected quarterly results. In Europe, markets jumped at the open but then backtracked slightly. The main indexes are still holding onto modest gains in morning trading. Asian markets ended in the red, with Japan's Nikkei index leading the way. The Nikkei declined by 3.3% Monday, and has lost roughly 7% over the past five trading days. Japanese equity markets have been volatile since hitting a peak in May.